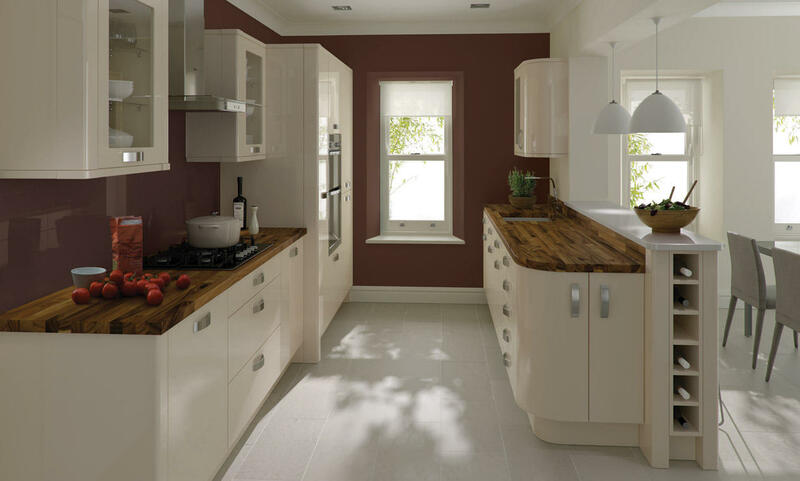 The Porter kitchen range offers a selection of seven fantastic colours each with their own distinct style yet sharing the high gloss finish.  The range is available in Alabaster, Cashmere, Dove Grey, Graphite, Porcelain, Silver Grey and White. 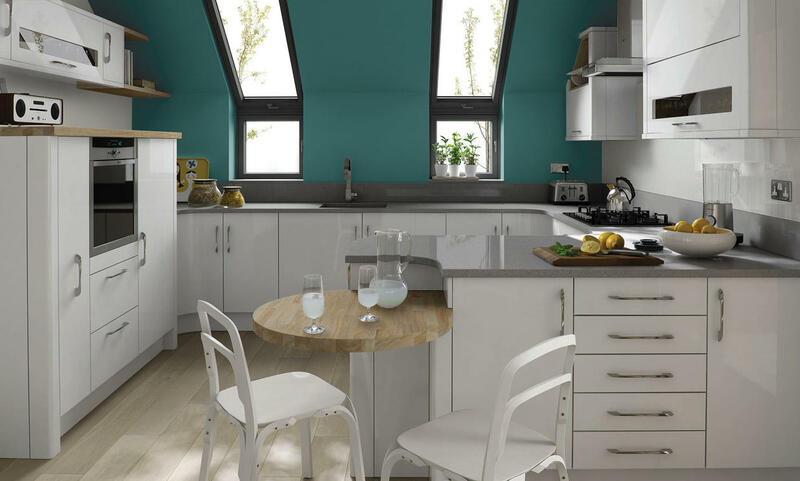 Each colour is available in a wide range of kitchen unit styles to meet all your needs. This compact U-shaped design really does make the best use of the space available. 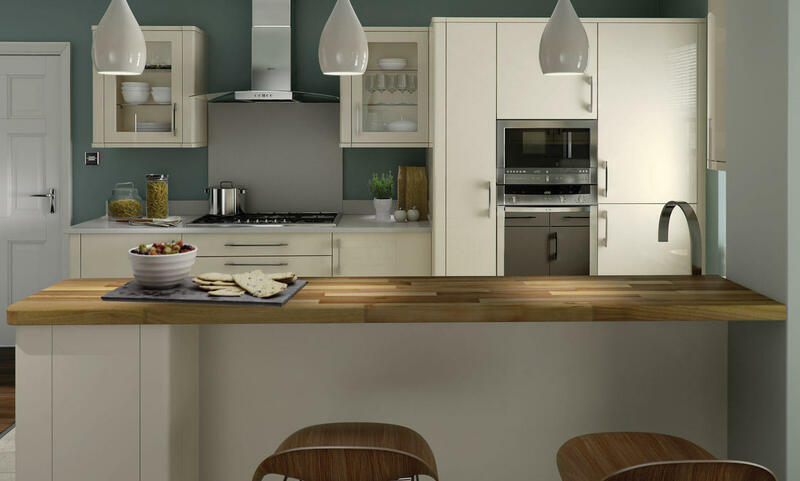 The circular rubberwood breakfast bar is a feature of the design as well as a practical eating space. 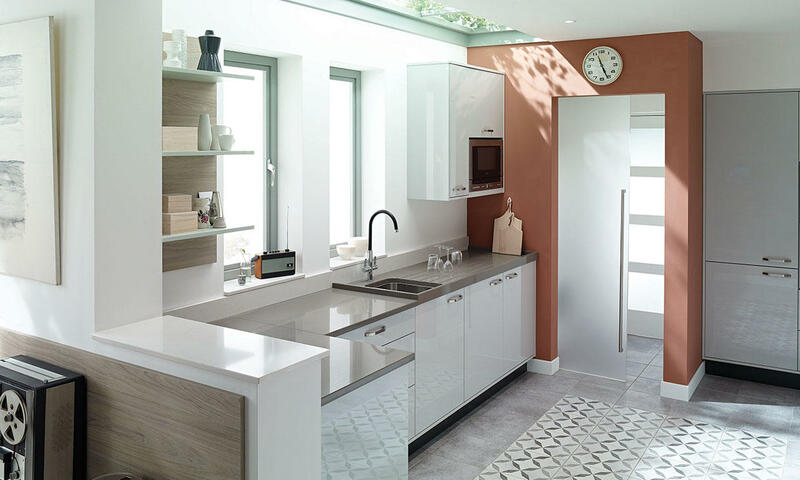 The grey quartz worktop with a moulded sink provides a seamless finish and maintains the contemporary feel of the kitchen. PLEASE NOTE THE PORTER GLOSS BEIGE HAS BEEN DISCONTINUED FROM NOVEMBER 2018. PLEASE CALL US TO DISCUSS ALTERNATIVE OPTIONS.